As a bit of context: I am a total word nerd. I absolutely love writing and with that comes an obsession with vocabulary. Combine that with a history degree? All my happiness comes together looking at the origins of words and how we use them! The wellness industry is as susceptible as any other to reducing sometimes quite wide-reaching, complicated and disparate ideas and concepts down into a single word. We love pigeon-holing and labelling things. Increasingly in a world with shorter and shorter attention spans, finding natty little words or phrases to encompass ideas has become the norm. So I wanted to take a bit of a longer look at the words we might throw away easily. And maybe shine a different light and a fresh approach on words that have become tainted with particular connotations. 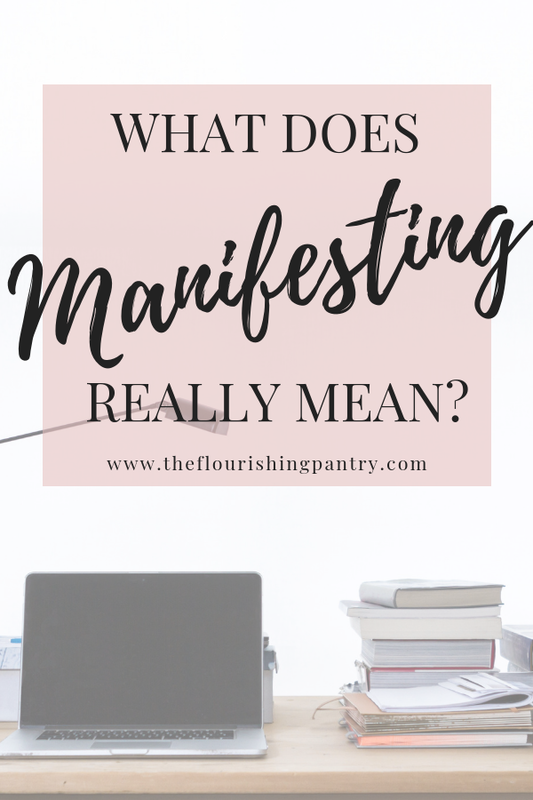 What does manifest, or manifesting mean to you? What do you think of when you hear it? And what does it really mean if we stripped away our preconceptions? If you manifest a particular quality or feeling, or if it manifests itself, it becomes visible or obvious. On the surface, I read that list back now and see it as seriously woo-woo. If you’d asked me 10 years ago about these 5 things I’d say they belonged to totally delusional, woo-woo lunatics who believed that just thinking about what they want will make it happen. And we all know that’s rubbish. Manifesting is very much borne from the idea of the Law of Attraction. The Law of Attraction is “the ability to attract into our lives whatever we are focusing on”. For example a vision board is a physical space to put items that we want to attract into our lives, so we’re frequently reminded of / focused on them. But I realise that in itself for many people will be one step too far from the world of logic and reason. But manifesting doesn’t just mean seeing and thinking about what we want and then sitting back and expecting it to happen. The definition points to so much more than that. The dictionary definition of manifesting contains some serious action words. Demonstrate and prove are not words that imply sitting around waiting for sh*t to happen. Manifesting doesn’t mean sticking a picture of a BMW on a vision board and then waiting for someone to arrive with it at your house. Manifesting means living a life that is demonstratingand proving(to yourself, the Universe, to God, whatever it is you believe) that you are ready, open and deserving of the things that you want in your life. It makes me even happier that when you are ‘manifesting’ (adjective) you are working towards making your dreams ‘manifest’ (verb) = clear or obvious to the eye or mind. I have no idea whether I’ve convinced you on this one. For me, manifesting has been a word I’ve shunned for a long time as an excuse for putting in the hard work and a load of woo-woo nonsense. It’s taken years (and I expect that development will continue) to realise that manifesting is all part of the same toolkit we are encouraged to use for positive living: thinking kindly, believing hard (even when there’s no evidence), noticing the good, celebrating the wins and trusting the Universe will bring you what you demonstrate you deserve. The more I think about it, the more I see so many of the things we are told to do for best health and for a flourishing business are all interwoven. And not so crazy after all. What do you think? I’d love to know! Do you struggle with the term ‘manifesting’? Or is it something you’ve embraced in your life? Leave me a comment or drop me a line. Remember if you’re a wellness entrepreneur I have a Facebook community filled with like-minded people where you can discuss this topic and loads more. Join us now. I have embraced the word so much that I’ve named one of my 1:1 coaching programmes Manifest. 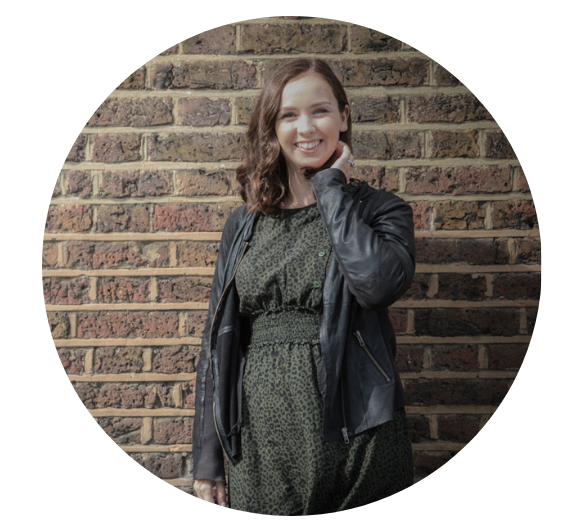 Manifest is a three session, one-to-one coaching package spread over three months designed for people that want to bring change into their life and build a wellness business. If you need help to create a plan, and want to formulate it alongside someone who will support and guide you and remind you what you are capable of then I’m here. Find out how to manifest now. There’s loads more about coaching and how to work with me here. Like this post? Pin to Pinterest and save for later!